Vitamin D Deficiency Fatigue. Are You a Sufferer? Vitamin D Deficiency Fatigue is probably one of the most common Symptoms of Vitamin D Deficiency, but unfortunately, fatigue is also one of the most common health complaints known to man! Because it’s so common and not just associated with one particular health problem, this life impacting and easy to treat problem often gets overlooked and goes undiagnosed in huge numbers. If only doctors would be vigilant and check for low Vitamin D Levels whenever a patient would come in complaining of fatigue, the incidence of Vitamin D Deficiency Fatigue would be greatly reduced. Vitamin D Deficiency Fatigue is so widespread that one study wanting to discover how many people actually suffered from this malady checked everyone from 10 years old to 65 years old who came into an emergency department complaining of fatigue, fibromyalgia, or depression. They found that 93% of these patients had vitamin D deficiency(1). Wow, 93% is incredible. It makes you wonder how many people suffering from fatigue of all kinds could just be suffering from Vitamin D Deficiency Fatigue! In fact, there are many studies showing that fibromyalgia might even just be the fatigue and Pain of Vitamin D Deficiency! Multiple other studies have reported similar findings in groups of patients suffering from fatigue along with various other ailments. (2) Particularly affected from fatigue seemed to be dark-skinned immigrants to countries in northern latitudes. No surprise there, yet no one bothers to check for vitamin D deficiency in those at risk. 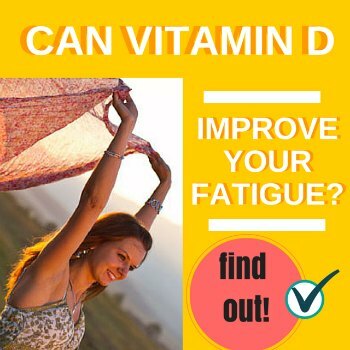 But Does Vitamin D Improve Fatigue? The answer to this question is more complex than just yes or no because different studies found different things. However, the overall answer to whether Vitamin D can help fatigue is a resounding yes, especially from mine and the observations of other health practitioners who work with patients with fatigue; dramatic improvements can be seen, almost universally, when adequate vitamin d is given over a long enough period of time to bring up Vitamin D levels and sustain them for a period of time. One study even found that a multivitamin containing vitamin d prevented fatigue in healthy volunteers exposed to rigorous multitasking. What an interesting finding. Unfortunately, most studies are done for a matter of weeks, and just give a particular dose of vitamin d without taking into consideration the vitamin d LEVELS of the participants. This is a problem because vitamin d is not a drug. We must have adequate blood levels of vitamin d to function properly, and just taking some random dose of vitamin d does not necessarily help to raise blood levels, especially in complex cases where someone has poor Vitamin D Absorption. For instance, a study done on a group of fibromyalgia sufferers gave an adequate dose of Vitamin D, 50,000 IU’s per week, but only gave it for 8 weeks, and didn’t check blood levels afterwards. As a result, those with moderate vitamin D deficiency saw improvements in fatigue and pain, while those with severe vitamin d deficiency saw no improvements in the 8 week study period. (4) When you understand the use of Vitamin D for Pain Relief and for fatigue, you’d know that those with the lowest vitamin D levels likely only brought their levels up to the same levels as those in the moderate deficiency group! It would not be expected they resolved their fatigue, because they were still Vitamin D deficient. Also, it might take up to 6 months after proper levels are achieved for symptoms like pain and fatigue to resolve. 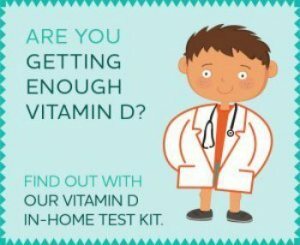 Vitamin D is not a drug, and this study was designed to test it like a drug- a sure recipe for failure. Are you suffering from Vitamin D Fatigue? You’ll never know until you give Vitamin D a try. But unless you follow the guidelines outlined on the Vitamin D Therapy page, you will almost certainly fail to have much benefit from taking Vitamin D. Most people don’t bother to get a level, then take an inadequate dosage, or eat Vitamin D Foods in amounts insufficient to meet their Vitamin D Requirements, while expecting to see magical results in a matter of days to weeks, then declare their experiment a failure when they don’t. Don’t let this happen to you. Follow the guidelines, do it right, and experience the benefits of vitamin d that are possible if you take care to follow instructions and do the Vitamin D Therapy correctly. 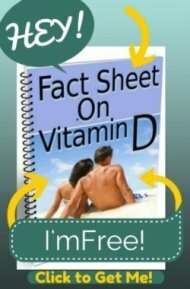 Low Vitamin D causing my fatigue? Leg Muscle Fatigue Due to Vitamin D Deficiency? Can a Vitamin D deficiency cause fatigue?